FHA Loans will have lower sales price limits in the Washington DC Metro Area from $729,750 to a $625,000 for a single family home purchase. This decrease is definitey a trick as many homebuyers will find it difficult to find purchase money loans for larger size homes and sales prices with lower down payments. Here is a list of counties affected from the HUD mortgagee letter in May. USDA Loans are a trick and treat. USDA is lowering its upfront financed guarantee from 3.50% to 2.00% but it has now added monthly mortgage insurance, which the no mortgage insurance was a great feature of this zero money down home loan. This is still a great loan product for buyers in "rural areas", but it will cost slightly more on a monthly basis. Veteran Home Loans are the treat of the bunch as the VA funding fee for VA Loans is set to decrease from 2.15% to 1.40% for first time users of the VA Home Loan Benefit. And from 3.30% to 2.80% for susbsequent use of the loan.This is great news for Veterans and active duty military looking to purchase a home with no money down in the Washington DC Metro Area. Contact your Woodbridge FHA and VA Loan Lender @ 703-497-3936, I promise we make the mortgage process not so SPOOKY! Its amazing how a couple time zones can change your buyng power...and yes it is October already, wow! Thank you for the reminder. I hope buyers who were qualified a few months ago will realize that limits have changed. Markita another trick is USDA has not been funded yet for the new fiscal year. Markita -thanks for the reminder. I am going to re-blog. This change definately impacts the higher end market here in Prince William County Virginia. This could force many luxury homeowners who receive job transfers. The pool of Conventional Buyers with ten percent down payments is very slim. If a homeowner cannot rent their home anywhere near the mortgaged amount, this could force them into a short sale situation. Note- I learned recently that USDA Loans can be used for purchases in the Gainesville area. That is considered rural. Can you confirm that information? 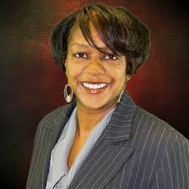 Markita-for our area both FHA and VA loans are hot hot hot. Thanks for sharing the updated information. Markita, VA Loans have always been popular in the Washington DC Metropolitan Area. Thanks for the update. Markita: This is important information for many home buyers, especially ones in my area. Thanks for writing it. @Lenn yes indeed , the best financing in tow! @Shay thats more than a trick that is downright scary. @Peggy yes USDA loans can be used in parts of Western Prince William County. @Cindy...red hot for our area. I would say 4 out of 5 of my clients are closing with government loans right now. @Julissa...FHA loan limits dropped for hundreds counties/areas was Fayetteville included in the group. Markita. Lowering that FHA amount may be discouraging for some home buyers in your area, but it appears that those VA and USDA loans are still a good deal. In Texas, we can offer our vets a Texas vet home loan to add to their VA loan to get their interest rates even lower. Jerry I would agree USDA and VA are still great programs for buyers. FHA, is as well, buyers will need adjust expectation at the sales prices. I am convinced we need a "Texas Vet Board" in Virginia! Love the VA loans, they are the best way to go right now. Thanks for the update. I haven't done a USDA loan, so I'll be looking into that program as well. The government doing everything it can to kill the housing industry...question is why? I guess they were trying to coincide with Halloween. We do have a strange government don't we?? I am going to do a hyperlocal on VA loans in my area! I am fairly excited about that because you know that is going to help out some people! Have a good weekend! @Tamara USDA is a good program, but the borrower has to meet income requirements and the property has to be located in what they deem a rural area. @Lanre lets chat about USDA in Maryland you have some areas that are excellent for the loan right outside of Prince Georges County. @Rosalie good for you and yes you will be a huge help to veterans and activity duty military in Sioux Falls. Hi Markita, this is the first I've heard about that VA loan fees droping like that. Very good news since I've been working with a decent number of VA purchasers lately. Hi Markita, I almost forgot! Thanks for the reminder. Markita - We used those higher loan limits a lot here in Orange County, CA, and I don't think the new ones are going to help our recovery. Hi Markita, Thanks for the udated info and very informative article. Hi Markita, thanks for the update. I am very sorry to see the changes added to USDA, but it is still a fantastic product. I can't use it in my county, but surrounding areas that I work in can access it. Our loan limit here is $429K I think. Don't do many FHA loans here. Lots of VA and conventional. it is just getting harder to get financing no matter which program. Needs to change. Thanks for getting it all on one fine post. I've reblogged for our area. all three, FHA, USDA and VA are important in our market. Markita - Thanks for the updates on the financing changes. Great info for agents to have. Thanks for Sharing!! I particularly am pleased to see the HUD document attached with the MAP! boy it tells a story doesnt it! Thank you for sharing. A needed update. The Gov't just can't leave anything alone! Then they wonder why there is still a housing crises! Regardless of circumstances securing financing has been and shall remain difficult for most buyers until the fed is fixed. Great and timely post. Thanks for the information and have a great weekend. Yep, there are many people all upset about the lowering of those limits. I'm not sure that for a 729K home 3.5% down is the way to go? Is there really a market for it or are they just offering it? I've never had one EVER. Timely reminders about some upcoming changes in the mortgage industry. This last minute craziness is, well, driving me crazy! Need I mention the games with Flood Insurance... ?!! Thank you for posting. The VA portion of this is good news and will hopefully have a positive impact on local housing markets. VA announced on Friday that the Funding Fee reduction will not go into effect until November 18, 2011. Thanks for everyones comments and I learned as stated above the VA Funding Fee decrease has been delayed until November 17th nonetheless it is still a "treat" for Veterans and active duty military looking to purchase a home. While mostly all other loan types have had stricter guidelines and increases in fees, VA loans have remained unchanged for credit guidelines and found a way to decrease costs. Good to hear on the va loans. I have a va buyer now. Good post on the intricacies of the changes that just happened. We do not always keep up on each detail of each loan. Thanks for the update. The USDA loan is a very important option here in my rural market.